The Washington returned from the Bering Sea on October 23, 1948, after completing Exploratory Cruise # 1. She had been designated as the exploratory vessel for the newly established Fish and Wildlife Service (FWS) Exploratory Base in Seattle and her assignment was to explore the waters of the Northeastern Pacific. After experience gained from this cruise the Washington would have had to undergo a major renovation to become a useful exploratory vessel, so the decision was made to design and build a research vessel instead. It would be a year and three months before that one became available on February 18, 1950 as the R/V John N. Cobb, commissioned at the Oceanography dock at the University of Washington. In the meantime the project had to keep on going without a research vessel, so the M/V Deep Sea was chartered for Cruise # 2, a bottom fish exploration of the Bering Sea which commenced June 24, 1949, and ended July 5, 1949, to complete what the Washington had set out to do. 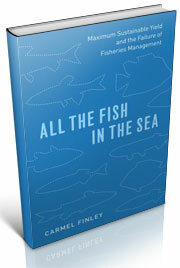 The FWS had been involved with Lowell Wakefield, the president of Deep Sea Trawler Inc. and owner of the M/V Deep Sea. His father, Lloyd Wakefield, became interested in reports of king crab from the FWS reports of the surveys of 1940 & 1941. 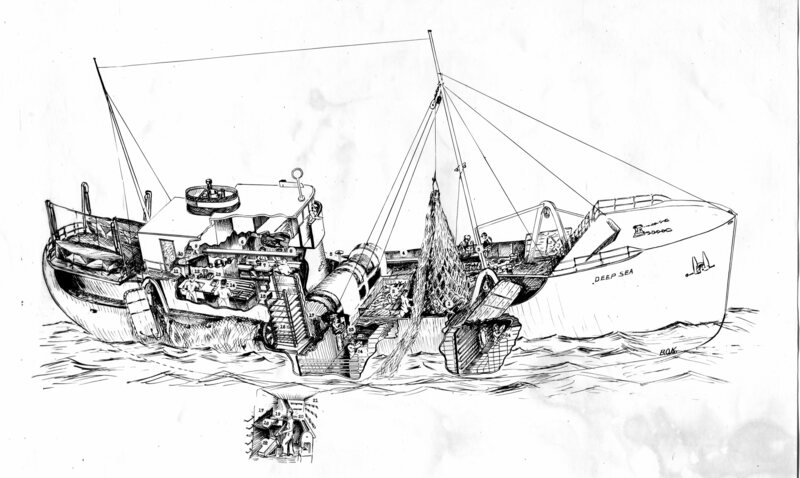 The Wakefields had a 35 foot trawler built in Seattle and took it north to Kodiak to experiment with methods of catching, processing and preserving king crab at their herring plant at Port Wakefield on Raspberry Island, northeast of Kodiak. 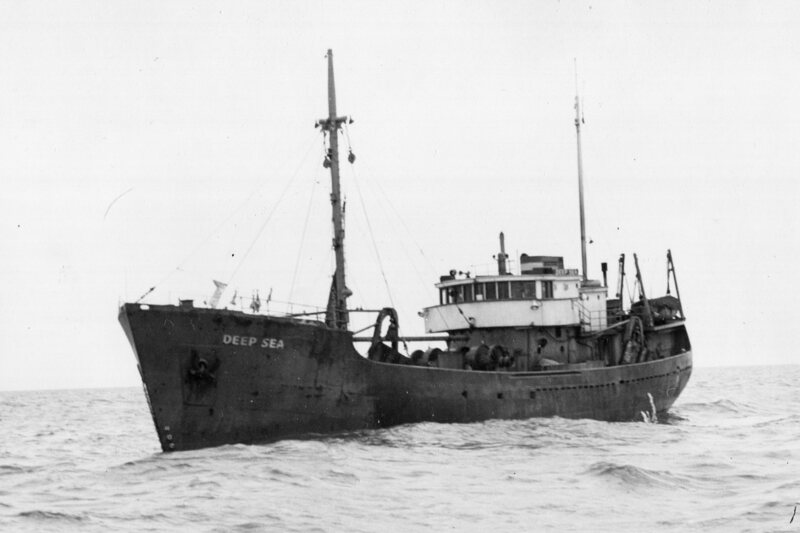 By the end of the war, Lowell developed a company called Deep Sea Trawlers. The company decided to have a seaworthy vessel built that could work in the remote and treacherous Bering Sea where the FWS had found an abundance of king crab. Before the war the Japanese had shown that there was a market in the U.S. for canned king crab and Wakefield’s experiments done in Alaska during the war determined that frozen king crab quality was better than canned. They had a Tacoma, WA. shipyard build a 140’ Atlantic side trawler that could process king crab and named it the Deep Sea. She was ready for sea and departed on her first commercial venture to the Bering Sea on May 29, 1947. The company asked the FWS to supply an expert to accompany the vessel as an observer and adviser. That person was Boris O. Knake, a Fishery Engineer from the FWS Technological Laboratory, Boston, Mass., who had expertise in east coast side trawling, net repair and trawl design, as well as knowledge of fish processing. He was aboard the vessel from the start of this first voyage in the Bering Sea to when he boarded the FWS Brown Bear on June 20, 1947, and returned to Boston. He suggested a number of modifications that he felt should be considered and was invited back on the fourth voyage, arriving in Seattle on February 6, 1948, and working with the crew getting the trawls modified to fish king crab. Knake was aboard the vessel when she departed Seattle on March 16, 1948, and remained aboard until May 12, 1948, when he got off at False Pass and headed back to Boston. The vessel planned to remain fishing in the Bering Sea until November before returning to Seattle. In his logs, Knake noted that Carl B. Carlson, another FWS Fisheries Engineer who accompanied the Pacific Explorer trip to the Bering Sea, came aboard the Deep Sea from the Mars on April 13, 1948 and departed on the Sunbeam, both vessels from the Pacific Explorer fishing fleet. 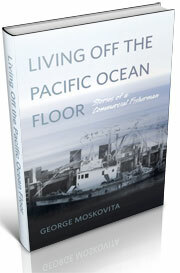 Then on April 24, 1948 the Pacific Explorer fleet reported good fishing in the Bering Sea. And finally, after making good catches of king crab in the Bering Sea, the Deep Sea headed for False Pass after picking up the mail from the Pacific Explorer. The two operations were in contact with each other. Knake was an artist and used pen and ink drawings in his logs to help describe the processes. One of his drawings of the Deep Sea shows the steps that were taken in processing the crab. The 1949 charter with FWS came at a good time for both groups. For the Exploratory Base, it finished off exploration of the Bering Sea northwest of the area where fisheries were being conducted. 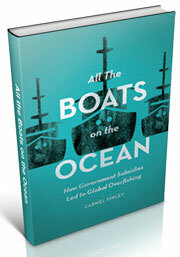 It gave Deep Sea Trawlers knowledge of unknown areas and it helped them out financially. Lee Alverson met Lowell Wakefield at one of the many meetings they attended, who thanked Lee for the FWS Exploratory Fishing dollars spent on the charter of the Deep Sea and for supplying the expertise that they sent out on the early trips. The results of the cruise were published in March, 1950 as Fishery Leaflet 369, Exploratory Fishing Expedition to the Northern Bering Sea in June and July, 1949. Two of the three authors, J. G. Ellson and Donald E. Powell, were Fishery Engineers at the new Exploratory Base. They were both on the vessel during the cruise and Powell was newly hired from the U. W. College of Fisheries. This entry was posted in boat building, Environmental History, Exploratory Fishing Base, fisheries science, Fishing, History of Science, History of Technology, Maritime History, Pacific Fishing History Project, R/V John N. Cobb, World History and tagged Bering Sea, groundfish, Pacific Fishery History Project, Pacific Ocean Perch, rosefish, trawling. Bookmark the permalink. Lowell’s dad’s name was Lee. But cool post. I was just trying to track the old ship Deep Sea. Sounds like it burned in Penn Cove off Whidbey in 2013.